Zapped! A well-timed zap from Lovely Lucy! Discussion in 'Pin Zaps & Swaps' started by NutMeg, Mar 24, 2018. When I was RAK'ed last month, it coincidentally happened right as my uncle was having surgery to remove a brain tumor. The surgery itself was successful, but there have been some post-op complications; it's been especially rough on my cousin/best friend, who is taking care of him, and it's hard to not be able to help (they live in a different state.) So the RAK was just so well-timed and really lifted my spirits! Anyway, it seems that poor health is going around in my family right now... You may have noticed that I've been MIA recently (at least I hope someone has missed me! Lol.) I've been super sick, to the point that I couldn't keep down any food or drink, even water. After a few days I was so dehydrated and malnourished I could barely walk. My mom took me to the doctor, who immediately had me checked into the hospital so I could be hooked up to an IV to finally get some fluids/nutrients. (This isn't even the first time this has happened, ha; I was born premature and have some lingering health issues due to that, like a messed up kidney and a generally poor immune system.) I got out a couple of days ago, but still feel pretty crappy. This couldn't have happened at a worse time since I'm moving/starting school soon; I'm probably going to take a short pin hiatus until my health improves and my stress levels go down a bit, haha. But I still need to take a moment to thank the super sweet @Disneychildwithin for the incredibly generous "get well soon" package she sent me! Of course, she didn't actually know this would be a "get well soon" package, haha, but again, sometimes the universe just has a way of knowing when you need a zap most. So as you can see from the card, this was actually supposed to arrive last month, but ended up coming at an even better time! No need to apologize - it worked out for the best! It was a wonderful surprise to come home from the hospital to a huge box full of amazing gifts. 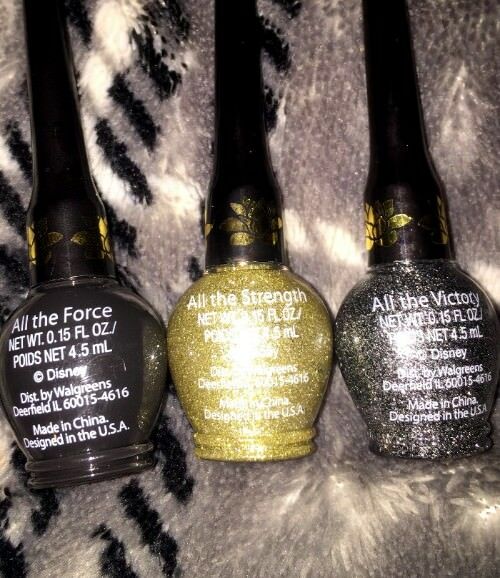 Yes, I actually decided to collect something other than Meg & Esmeralda! 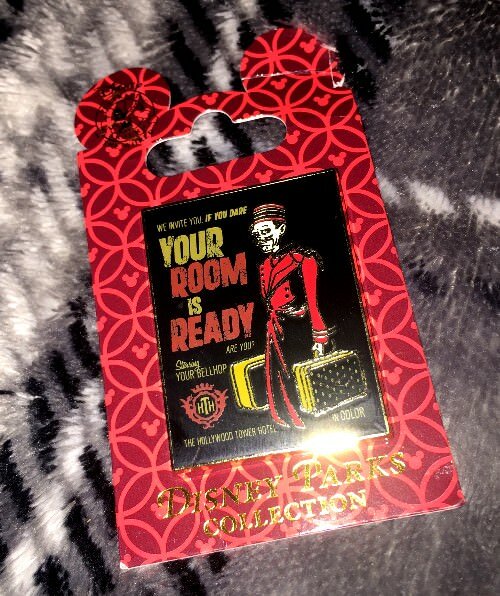 Tower of Terror was my favorite ride (</3) and still holds a special place in my heart, as it combines three of my favorite things ever: Old Hollywood, The Twilight Zone, and creepy stuff in general, haha. My ultimate "happy place" at DLR was walking down Buena Vista Street, where you could see the Hotel in the distance, looming ominously over the 1923 Hollywood storefronts. And then when you rounded the corner and started to hear that creepy, jazzy old music... gah, I miss it so much! I don't even know if I'll be able to go on that freaking Guardians of the Galaxy ride when I go back, I'm THAT bitter about it, lol. K, this is officially my favorite Christmas ornament EVER. Seriously, how cute is it? 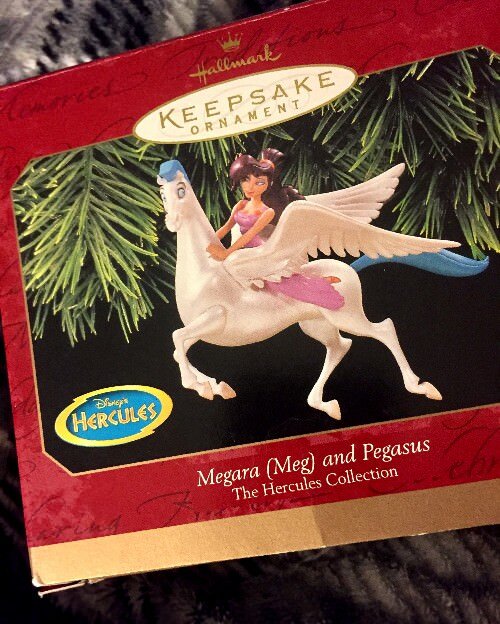 Last Christmas I was actually considering decorating my tree in an all-Disney theme, but I only have a couple of other Disney ornaments, and all my money was going toward presents. 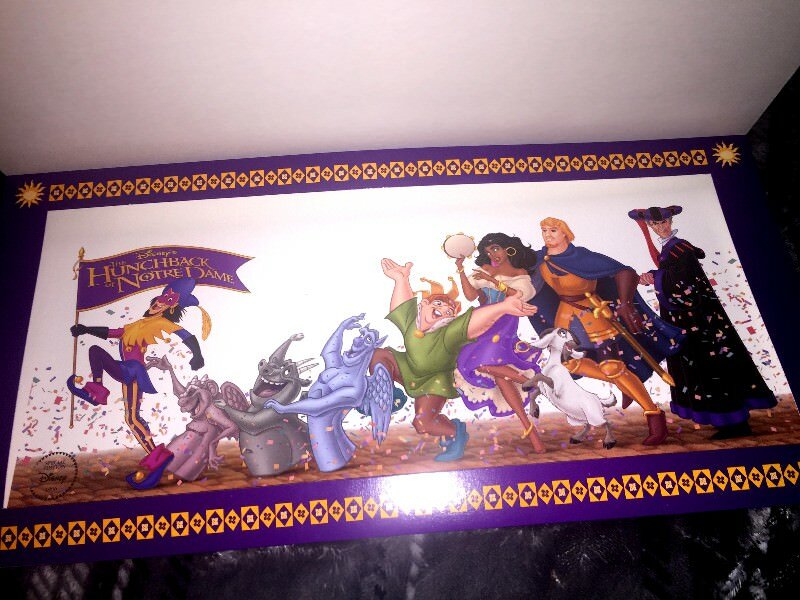 I think instead of waiting til actual Christmastime to buy decorations, one of my 2018 goals will be to gradually collect a bunch of ornaments from my favorite Disney films. That way I'll have an entire tree's worth by December! 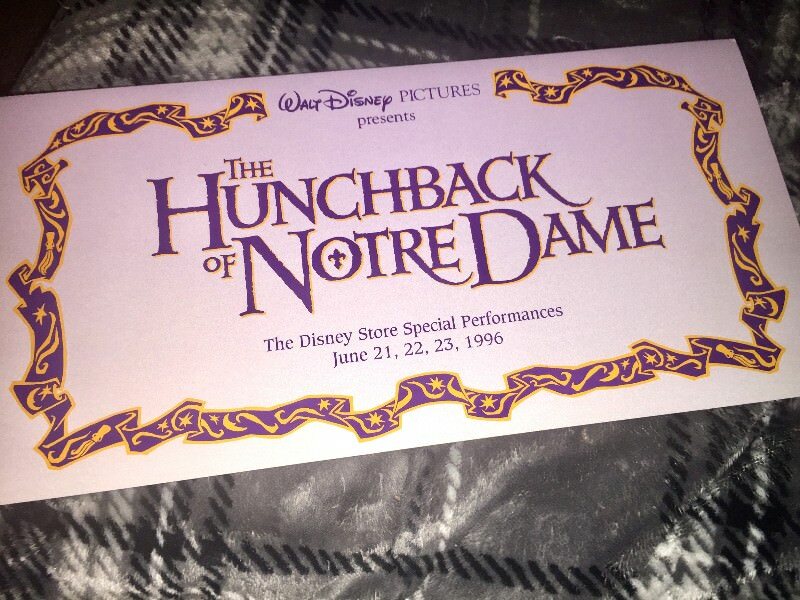 Gotta find an Esmeralda one next! I can't wait to play around with these when I have more energy! I'll be sure to post a pic of the look I come up with - should definitely be interesting with something as adventurous as gold glitter liner! 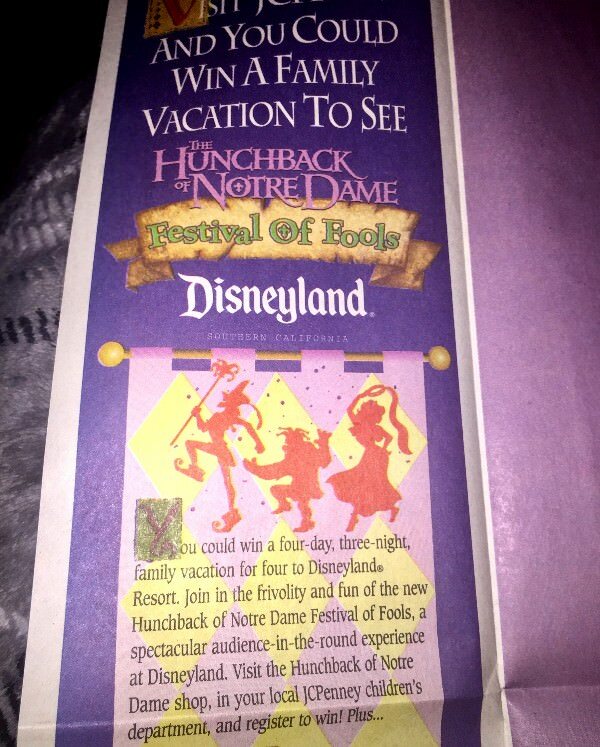 I will always regret the fact that I never got to see the Festival of Fools show at Disneyland! 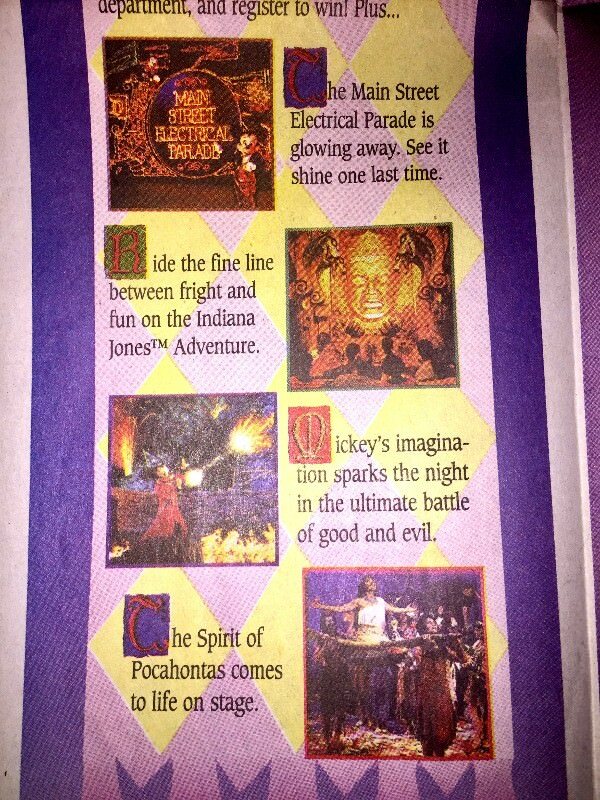 Why didn't I enter this contest as a kid?! Ugh. 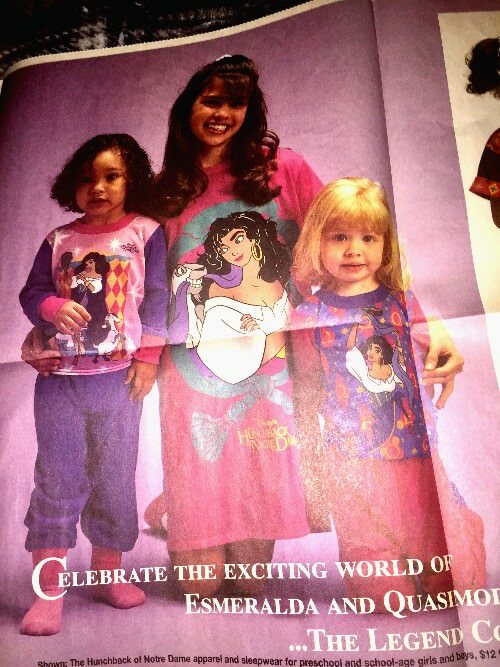 Also, I really need all of this Esmeralda apparel from JCPenney - I'm pretty sure I could fit into a kids XL! TinyTink, watzshakinbacon, Spr175psu and 1 other person like this. Oh my, I hope y0u feel better soon. Congrats on the wonderful ZAK! 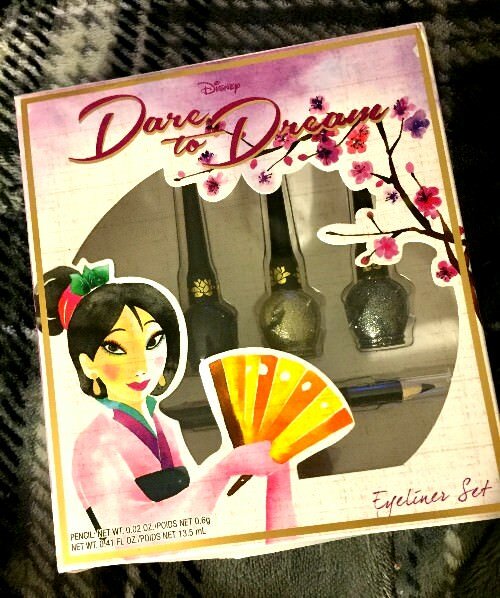 NutMeg and Disneychildwithin like this. I was wondering where you were?! Sorry to hear it was for health reasons, I was thinking it was school or possibly you moving already. I don't know why I got all emotional reading your comments, maybe because I had these feelings of guilt for not sending your package on time and then realizing how it arrived to you at a perfect time instead...ahhh, too many emotions at once! Makes me happy to be able to spread a little joy whenever I can, so glad I was able to lift your spirits a bit...and welcome back! We definitely noticed your absence. And certainly don't stress too much about pins, they'll still be here when you're feeling better. Congrats on the zap! 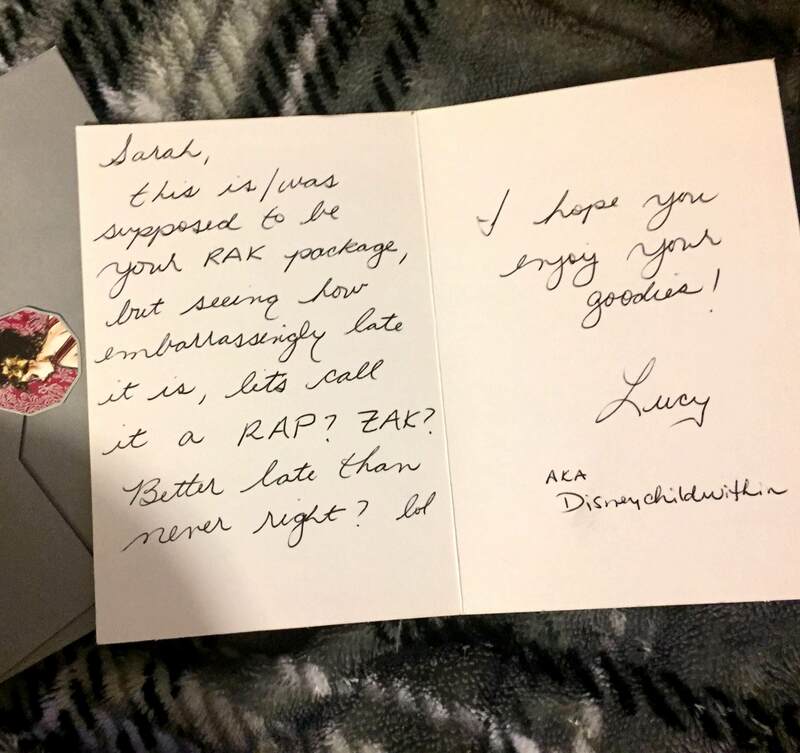 Lucy is seriously super awesome! And I also find it amazing when zaps come at the perfect time. Congrats on the RAK/ZAP. Feel better soon. Well, I’m sorry you weren’t feeling well, I hope things improve! But what a lovely zap! They do seem to come when it’s quite dark out, don’t they, and bring a flicker of warm light. Wonderful timing! Hope you get better soon! Sorry to hear you weren’t feeling well. Hydration is so amazingly important! Glad you are back on your feet and had an amazing zak to help you feel better. 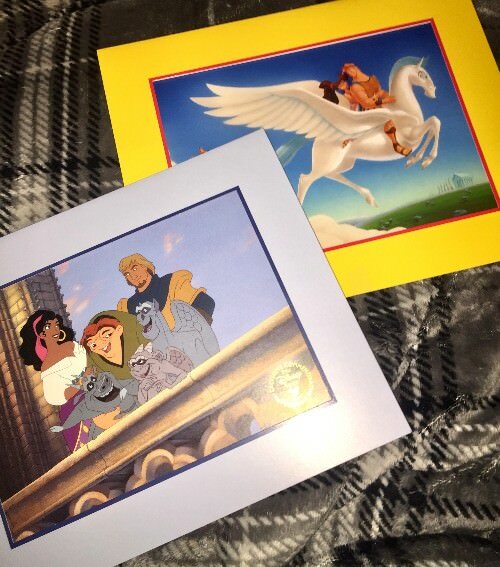 @Disneychildwithin is the master of the awesome, spirit lifting, surprise package for sure. Sorry to hear about your health issues, but it's amazing what a well timed package can do! I think we'll have to talk you into a ride on Guardians eventually tho, because really, it's SO fun... and our Tower really was only a shell of the one in Florida, so much cooler! I completely feel you on the themeing from the rest of the park tho, UGH. Why'd they have to make it so ugly?? 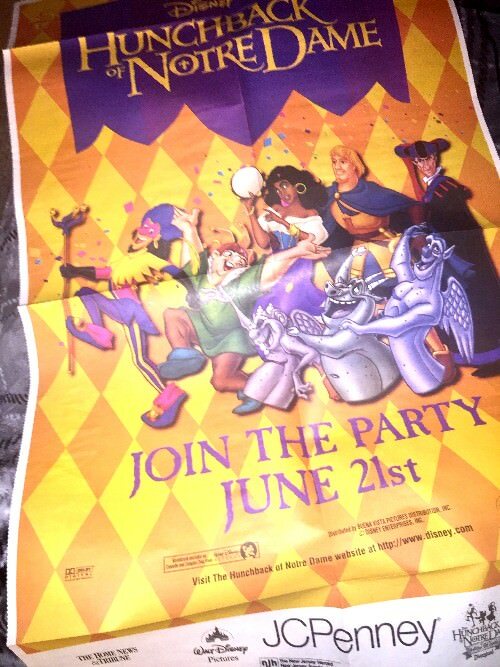 Also I totally remember that giant poster being in our newspaper! What a great ZAP / ZAK ! Hope you are feeling better. Congrats on the Zap! Lucy has all the Disney Magic lolz! Hope you've been feeling better!